I am interested in buying any game used Vols football, baseball and basketball jerseys you may have. I will pay top dollar. Please let me know what you have! Trying to find a Witten jersey and helmet myself. Might you know where to find one? Go to the Orange & White game ... they have a table set up with piles and piles of used football jerseys. I think i remember seeing some basketball jerseys, but mostly football. Reasonably priced at $60 or so. Oh, btw, the table is at the meet & greet on the practice field. I have a #7 official team jersey from the season right before we went to embroidered numbers. its not game worn but its the real thing. Also I can tell you how to spot a fake. Hate to tell u but a game used Jersey is not at all $60.00........i sold one given to me by Jonathan hefney for $450, but if u find that deal and you hesitate your insane! Haha. I believe that he is thinking the OP means a replica jersey. The OP collects actual game worn jerseys. Not a jersey , but something you might be interested in Loomis. I can ask his uncle. I work with him and coached under him for a few years. 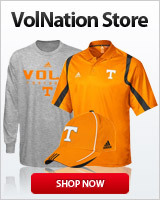 No, the stadium store at Neyland sells actual game worn Tennessee jerseys for $60. The names have been removed to comply with NCAA rules. It depends on where you find it and the condition of it and the player who wore it and etc etc...I have bought several game used jerseys for $50-60.00...From UT and several other schools for the collection part of the hobby...I used to buy game used UCLA jerseys for around $35.00...I had stacks of them....Now a days some of the DEALERS out there will try and rip you off by selling you one worn by a 2nd string punter for $300.00....Ridiculous...Go to the athletic departments and ASK if they sell the old used jerseys and how much they want....You might be surprised just how cheap they are. theres a store inside the stadium now? Has been for three years now. Open Monday-Saturday all year long. Enter at Gate 20. They are auctioning baseball game worn jerseys on utsports.com.... If that helps. I dont have a game used jersey, BUT i have a jersey #10 signed by peyton manning, al wilson, terry fair, erik ainge, and robert meachem? maybe you might be interested?